Thank you to everyone who helped us celebrate the transformation of 2 more HOUSES into HOMES in May 2017! 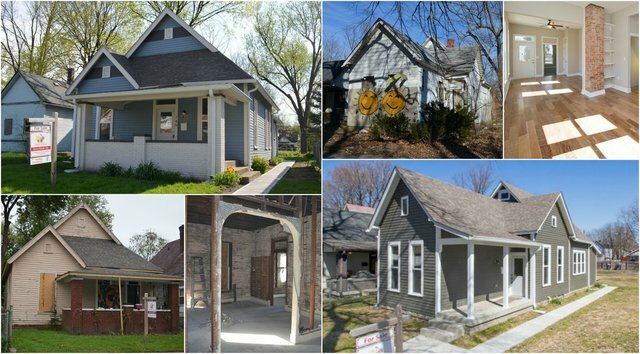 Over about 6 months, with the help of a grant from the City of Indianapolis and HUD, we fully rehabbed 737 and 749 N Belleview Place, creating beautiful, affordable homes for 2 families to call their own and helping to renew this awesome block in the heart of our near-west neighborhood. We're excited to welcome 2 new FAMILIES to the near-west side, giving them the opportunity to become homeowners and to experience the many benefits that come with homeownership! Interested in being a part of the Belleview transformation? Contact Arielle at abrosman@heartsandhandsindy.org or 317-353-3606.